The Freeroam Server Designed with You in Mind! 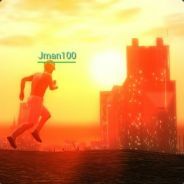 This is the steam group for fans of Jman100's Just Cause 2: Multiplayer Freeroam Server. Group image taken in-game by mandella644. We're doing a reunion event right now! Join us on the server named "[SERVER EVENT] Reunion Event!" JOIN NOW! Special meetup event! Find the [EVENT SERVER] in the server browser and join up! let's do some stuff! MI6 faction Discord: https://discord.gg/6Xbh29V Come join if you'd like to join one of the oldest still remaining JC factions!